An experienced senior banker is devoted on writing books now days. Md. 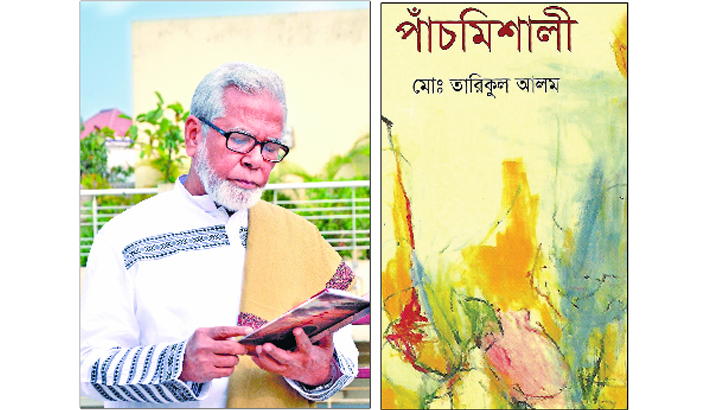 Tarikul Alam is now 75 years old. He had worked as Senior Executive Vice President & Company Secretary of NCC Bank Ltd. After retirement, he started writing. His first book in a pattern of autobiography was published in July, 2017. “In my writing, I always try to deliver positive messages that may help the readers enrich their moral values in personal, social and professional life”, said the author. The contents of his writings are mostly short stories and poems. So far his published books are ‘Amar Ami Ebong…’, ‘Panchmishali’, ‘Risk Management of Bank and some tips to practice Corporate Governance] and ‘TokJhalMishti (1)’. All these books are available in ‘Ekushe Gronthomela 2019’.